The mountain is located in the south west of Mauritius in the Black River National Park. The path starts near the Black River gorges viewpoint, and the parking area is where you should leave your transport. There are no public bus routes travelling through this area and you will need to travel by your own car or taxi, to the car park of the Black River Viewpoint. 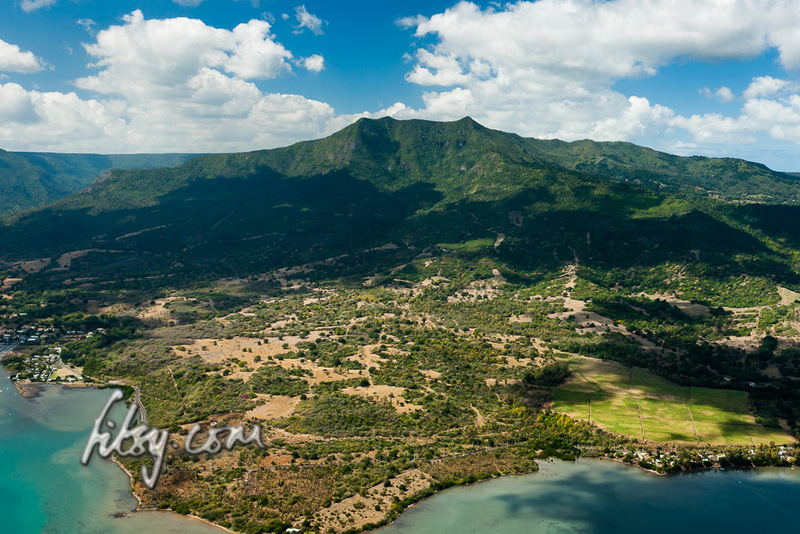 Depending on your starting point, the area is accessible westwards from the coastal road at La Gaulette through the mountains of Chamarel, or from the south by either the road at the village of Baie du Cap or the road from Souillac. There is also the road from the East passing through Plaine Champagne and Les Marres. Lion Mountain is a moderate climb with a couple of hurdles along the route but which can be accomplished by any agile adult or teenager. The location provides some great views over the bay of Mahebourg, the lagoons of the south east coast and inland over the landscape of the Bamboo mountain range. 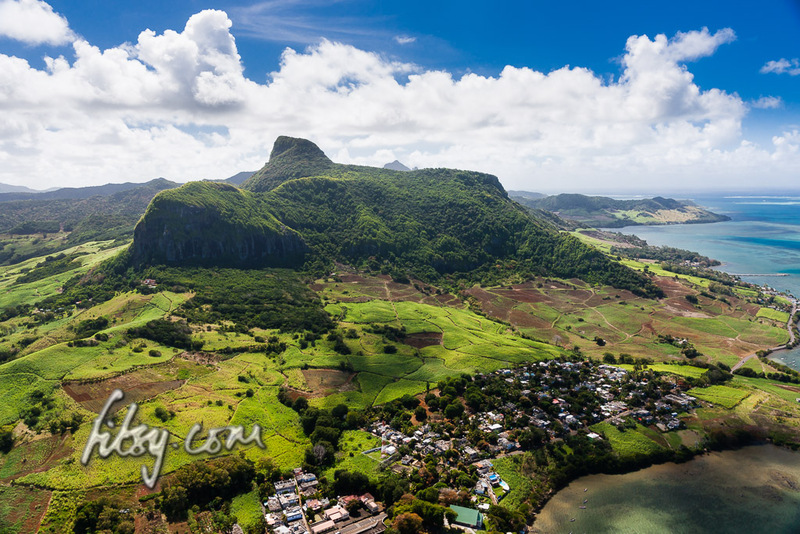 Lion mountain is located in the South East of Mauritius, overlooking Grand Port and the bay of Mahebourg. The starting point of the route is at the Police station of Grand Port on the coastal road. There is a road aptly called Lion Mountain Road adjacent to the Police station, off the main coastal road. The area is served by buses travelling from Mahebourg to towns in the eastern region of Mauritius such as Flacq and Bel Air. The track starts from the Police station along Lion Mountain Road, past some houses until you reach sugar cane fields. You may leave your transport in the clearing at the end of the tarred road just as you enter the sugar cane fields but avoid blocking the road to large agricultural vehicles which may be at work in the fields during the sugar cane harvest. Le Pouce mountain, located in Moka, offers some very good views over the North West of the island towards the capital Port Louis, and on a clear day, the coastline of the North and East of the island can be seen. It is an easily accessible climb in the centre of the island, and relatively easy in ascent. The starting point of the route is in Petit Verger near the village of Saint Pierre. The location is served by buses and is easily accessible using buses going to and from Port Louis, or from other locations by changing buses at Saint Pierre. There is an alternate route starting from Port Louis, but the difference in altitude from that starting point is greater, making it more physically demanding and a longer climb. If you are using a car, park the vehicle on the tarred road just before the bridge at the junction a few metres away from the main road, or continue to the end of the road where there are a few more spaces to leave your car. The hike to the summit of Le Pouce mountain is relatively popular and attracts a lot of people, especially at weekends and public holidays. There have been reports in the past of petty theft from vehicles parked in the area. Do not leave valuables in view inside your vehicle.